In Costa Rica, IT IS PERMITTED To Take A Selfie During A Driving Test! TICO BULL – From the too stupid to be made up, in Costa Rica a person can, while taking the driving exam, use his or her camera, smartphone, video camera, etc, to take a selfie (photo) or video. 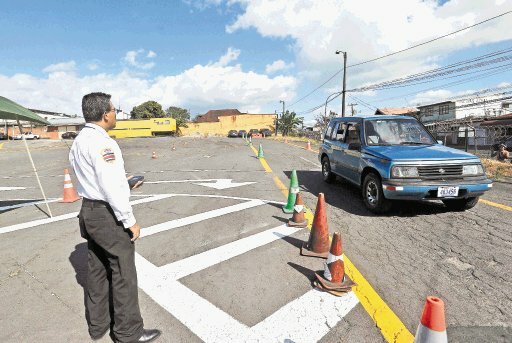 Yes, according to the Deputy Transport Minister Sebastian Urbina, consulted by Crhoy.com, in Costa Rica the use of cameras while taking the driving exam IS PERMITTED. I can see it now, just as the test is about to begin, the arm is extended, the camera starts rolling in one hand and eye on the lens, the other on the wheel. And in keeping with the trend, often will be shared on social networking services such as Facebook, Google+, Instagram, Snapchat, Tumblr and Twitter. Urbina said that the practice is legal as long as the examiner is not included in the content without prior consent. But, to ensure that his opinion on the subject is clear cut, Urbina said he will be requesting a written clarification from the legal department. Wait, shouldn’t he have done that before answering? That is exactly what the director of the Dirección de Educación Vial (Driver Education Directorate), Hugo Jimenez, did, saying only that the subject is one that is under analysis and discussion. Of course, the objective of allowing a camera during the exam is to have a record of the exam and evidence for complaint in the case of an unjustified fail. So, here’s my question: if it is illegal to talk on a cell phone while driving, why is it legal to use the same cell phone to take a photo or video during a driving exam? Oh, yeah, this is Costa Rica, where anything can happen. And it often does, until someone considers otherwise.